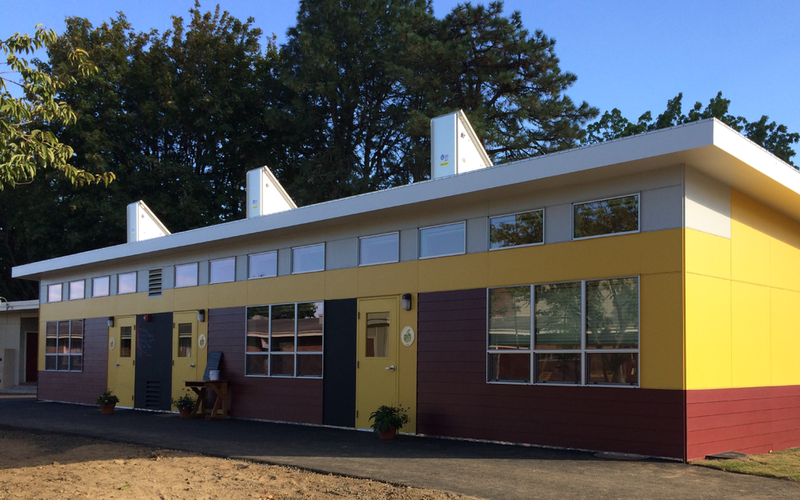 The SAGE (Smart Academic Green Environment) Classroom is the result of a collaboration of Portland State University´s faculty and students with Blazer Industries and Pacific Mobile Structures to design and build an affordable, green modular classroom. Faculty and students from the schools of Architecture and Engineering at PSU, started the project as a vehicle for exploring how they, as future professionals, could use their talents in service of public good as well as investigating the conditions and role of modular classrooms in today´s educational environment. They held symposia and designed exercises to explore the complex issues that lead to our continued dependence on modular classrooms in Portland, in particular, and the country as a whole. 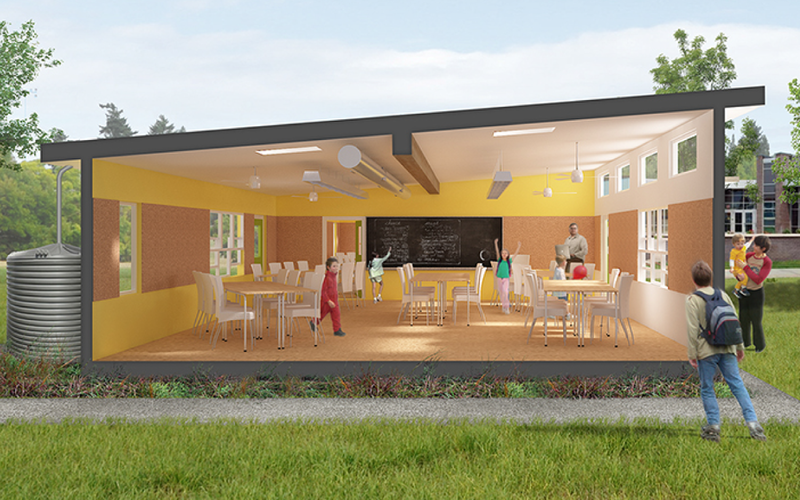 The SAGE Classroom Design Team has proposed a prototype classroom that achieves the elusive goal of offering the health and environmental benefits of green design at a price schools districts can truly afford. The prototype is designed to improve air quality, take advantage of natural day lighting, and reduce both indoor contaminants and energy usage a little more than the cost of current models. It features low-impact and reusable foundation systems, steel floor structures, portable ramps, and energy efficient HVAC systems. This results in a healthier atmosphere that is more conductive to learning, as well as a sturdier and more reusable classroom. PSU Institute for Sustainable Solutions, Blazer Industries, Pacific Mobile, Structures, Portland Public Schools, Oregon BEST, & Many More. steel floor structure for greater portability and reduced infrastructure. 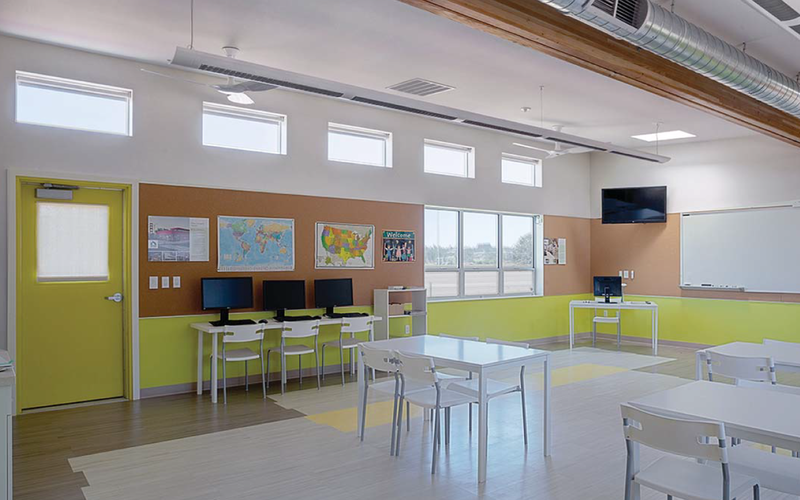 For little more than the typical classroom, and eith greater savings in infrastructure and long term energy reduction, the SAGE classroom will ensure that all schools in need of modulars now have a healthier and affordable alternative for their students. The SAGE Classroom User Handbook will be published before the end of the year. This handbook helps teachers, students, and parents understand how their SAGE classroom works and how they can maintain the classrooms´efficient performance. The SAGE classroom has generated much excitement with school districts accross the country, inquiring about it and distributors lining up to sell the classroom..